"In the contempt jurisdiction, the court has to confine itself to the four corners of the order alleged to have been disobeyed." The Supreme Court has reiterated that, while exercising the contempt jurisdiction, the court has to confine itself to the four corners of the order alleged to have been disobeyed. The bench comprising Justice R. Banumathi and Justice R. Subhash Reddy made this observation in an appeal (Er. 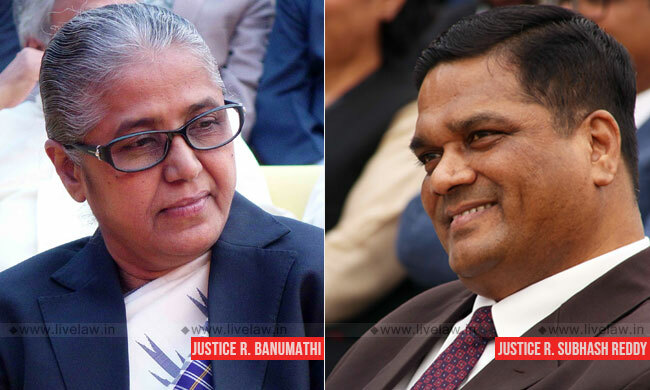 K. Arumugam vs. V. Balakrishnan) challenging a Madras High Court order in a contempt case, which passed directions beyond the order allegedly disobeyed. In the writ petition filed by Balakrishnan, the High Court passed an order directing the District Collector to ensure that a fair and reasonable compensation be sanctioned to him. District Collector passed an order directing compensation at Rs.200 per sq. ft. Balakrishnan then filed contempt petition. The District collector during the pendency of the petition passed another order modifying the compensation to Rs.500 per sq. ft. Thereafter the High court disposed of the contempt petition modifying the compensation to Rs.600 per sq. ft.
"The Courts must not, therefore, travel beyond the four corners of the order which is alleged to have been flouted or enter into questions that have not been dealt with or decided in the judgment or the order violation of which is alleged. Only such directions which are explicit in a judgment or order or are plainly self-evident ought to be taken into account for the purpose of consideration as to whether there has been any disobedience or willful violation of the same. Decided issues cannot be reopened; nor can the plea of equities be considered. The Courts must also ensure that while considering a contempt plea the power available to the Court in other corrective jurisdictions like review or appeal is not trenched upon. No order or direction supplemental to what has been already expressed should be issued by the Court while exercising jurisdiction in the domain of the contempt law; such an exercise is more appropriate in other jurisdictions vested in the Court, as noticed above." The bench observed that the High Court erred in directing the TWAD Board to pay compensation at the rate of Rs.600/- per sq. ft. which works out to more than Rs.4, 00, 00,000. It is public money and having implications on the public exchequer, the public money cannot be allowed to be taken away by an individual by filing contempt petition thereby arm-twisting the authorities, said the court while allowing the appeal.